Sony Pictures Television Networks, Asia announced today a new original series for AXN featuring Australia’s top magician, illusionist and escapologist, Cosentino. The four-part series, entitled The Elements, will captivate audiences with Cosentino’s mesmerizing street magic, large-scale illusions and death-defying escapes all themed around Earth, Wind, Fire and Water. The filming kicks off this week in Singapore before Cosentino takes his magic on tour, filming against iconic backdrops in Taipei, Manila and Kuala Lumpur. Various popular Asian artists, including singers, actors and models will join Cosentino as he performs his spell-binding stunts, creating a raft of “how did he do that?” moments. 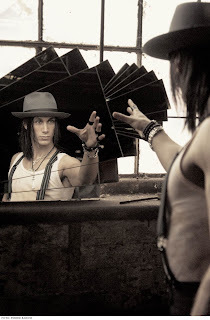 Cosentino has quickly become a global star within the magic industry. He is a multiple winner of the prestigious Merlin Award (magic’s version of the Academy Awards) including acknowledgement as the ‘International Magician of the Year’ and the ‘International Escape Artist of the Year’. Commenting on The Elements, Cosentino said, “I am thrilled to be embarking on this new partnership with AXN, who is the undisputed leader of English language broadcasting across Asia. I am very proud of what we have created with The Elements series. The concept of the shows and the magic and escapology contained within them is unlike anything else that has been seen before”. The Elements will premiere in early 2018 first and exclusively on AXN.